Product #575 | SKU 1-20-0002 | 0.0 (no ratings yet) Thanks for your rating! 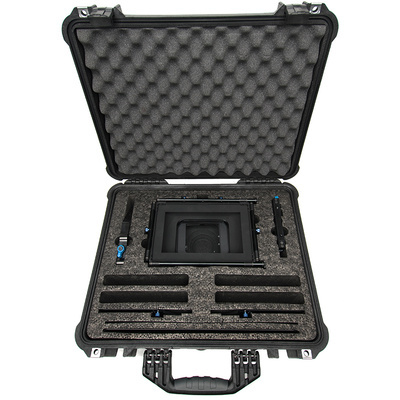 Hard Case with fitted foam for extra protecion. Micro microMattebox for Red One bundle and it can hold 4 Microfilters with an extra 15mm arm. It is made from ultra-high Impact structural copolymer with an open-cell core with solid wall design and a custom-cut foam interior. It is carried by a comfortable, rubber over-molded, fold-down handle.